NRM Regions Australia and Geoscience Australia have completed five collaborative workshops with natural resource managers from across the nation to make use of geoscience data to help manage our natural resources. The workshops provided a better understanding of how geoscience data can inform the management of Australia’s groundwater resources, soil health, and our agricultural regions. 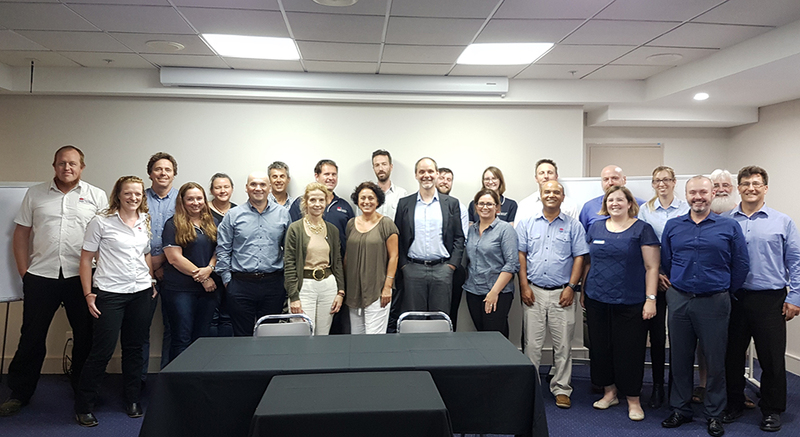 Geoscience Australia’s Chief Scientist, Dr Steve Hill, said the workshops held in Darwin, Melbourne, Sydney, Perth and Brisbane, aimed to improve how regional NRM organisations and Geoscience Australia work together. “It’s great to see the different applications that can benefit from information that Geoscience Australia has made freely available,” Dr Hill said. “For example, our satellite data can detect detailed physical changes across landscapes and can help regional NRM organisations monitor what’s happening on the ground and plan accordingly. Chair of NRM Regions Australia, Emma Jackson, said natural resource managers need this information to plan activities across the landscape, monitor outcomes and adapt strategies based on changing conditions. “To do this, natural resource managers need to understand issues such as soil and coastal erosion, measuring crop growth, tracking water quality and monitoring changes to cities and regions,” Ms Jackson said. “These workshops were the first phase of an ongoing collaboration that will tackle some of the biggest challenges facing natural resource management in a changing climate. The collaboration between Geoscience Australia and NRM Regions Australia launched in May 2018 at the National NRM Chairs’ Forum, with the aim to utilise the power of data for the good of the environment. Media release originally published on the GeoScience Australia website here.